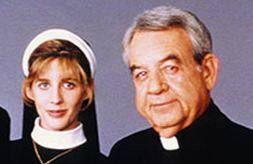 In the final Minisode of the week the guys talk about the salary of Catholic Priests and Cline ponders life as a man of the cloth. later the guys discuss life as a priest and wonder if you could lead a doule life as a priest and a womanizer. They also discuss the custom of drinking wine at mass and more! Previous PostThe Hotshot Whiz kids podcast Episode 256Next PostShut Up And Watch The Movie! : Emergency!